Berlin is quite an affordable city, one of the best in Europe, but for most visitors it is still expensive. Costs can easily pile up as you go out clubbing or you hop from one museum to the next. The good news is that you can enjoy many things for free in one of the greenest cities in Europe. 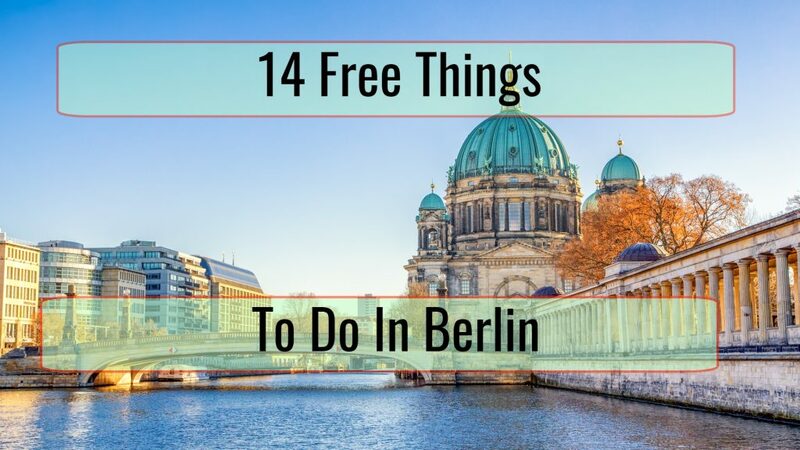 This is what we will talk about, highlighting some really interesting free things that you can enjoy in Berlin. This is definitely not an extreme Berlin travel activity but it is something you want to try. 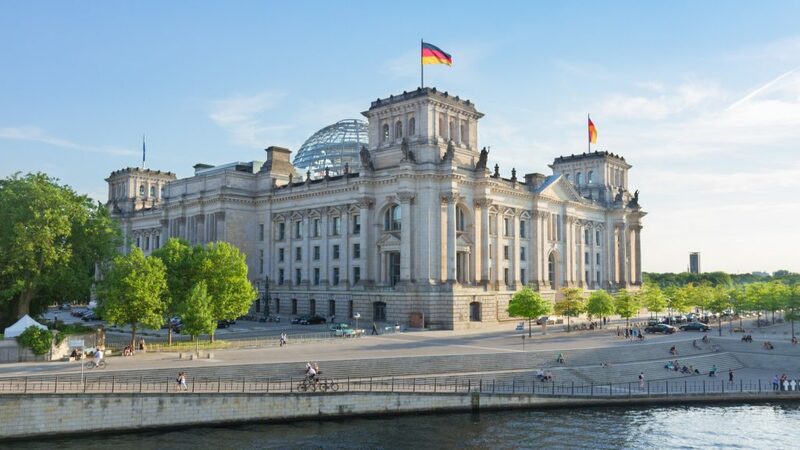 Reichstag is where the country’s parliament has its home. There is a free lift ride that will take you to the roof terrace of the building. This offers wonderful views over the city and great close-ups of the Norman Foster designed glass dome in this building that has a large history. You can easily take advantage of the free audio guide available, which talks about what you see on the terrace, the parliament and the actual building. You need to book ahead or you might not find a spot though. East Side Gallery is a freedom memorial, Berlin Wall’s longest still remaining section. After the November 1989 fall of the Berlin Wall, over 100 artists visited and transformed the sight into a gallery that is now covered in peace declarations. Oftentimes, they are politically themed. Berlin’s Museum Island is made out of 5 museums: Neues, Pergamon, Bode, Altes and National Galerie. As a whole, the complex is now listed in the UNESCO World Heritage sites list. Entry fee is needed when you actually enter the museums but when you just want to stroll around the island, you do not pay anything. The architecture that you see is more than worth your time. Holocausts Memorial can only be described as being haunting. This monument commemorates the Jewish victims that came with the Holocaust. There were 6 million of them. 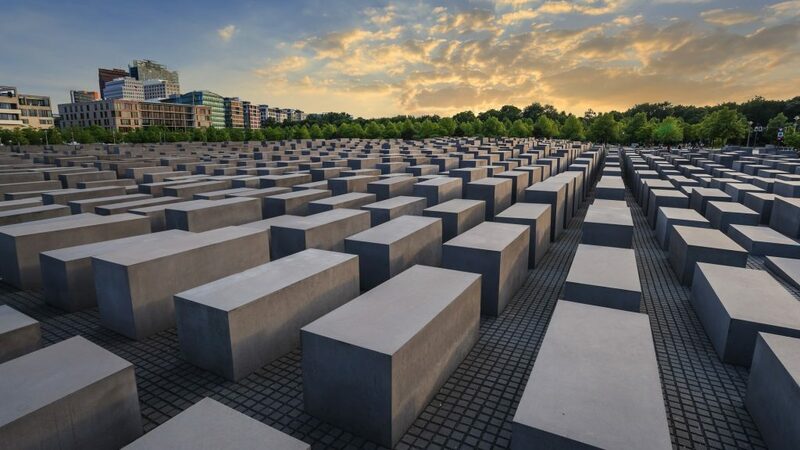 Holocaust Memorial features 2711 concrete slabs that look like sarcophaguses, all varying in height. From the moment you walk in you will feel an atmosphere that is unsettling, all because of the footsteps and whispers you hear all around you. The experience is humbling. Berlin is a really beautiful city that is filled with green areas. You can so easily enjoy biking in Berlin and since the location allows it, you can also go to Panoramapunkt or Fernsehturm for panoramic views. If you are on a low budget though, the capital of Germany can be enjoyed in other ways. For instance, you can go to Klunkergranich, a bar located over the Neukolln car park. If you are looking for an idyllic setting, check out Victoria Park. The view is lovely there and you even see a waterfall. Alternatively, check out Teufelsberg, which is a hill that is man-made. Berlin bus tours are already really affordable but you can save even more money when you just take bus number 100. This is covered by the regular tickets you get for transit and the route takes you to many important and popular attractions and sites, including Kaiser Wilhelm Memorial Church, Alexanderplatz, Zoologischer Garten and Siegessaule. Every single summer, Berliners go to the parks they love in order to drink some beer, get a tan or enjoy a picnic. 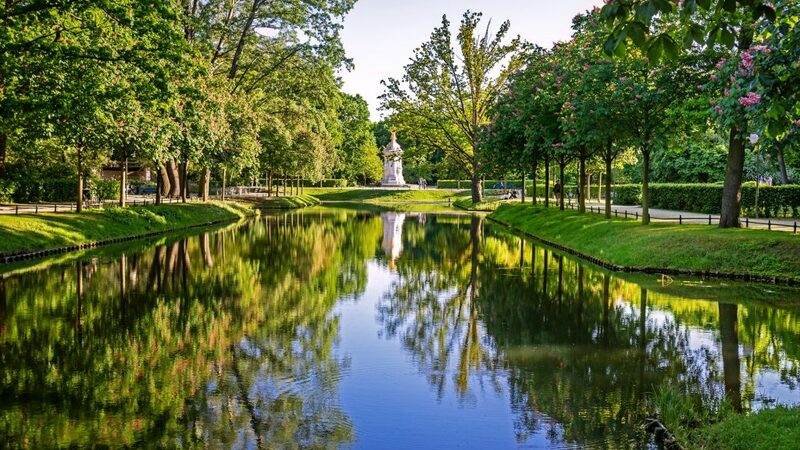 Tiergarten is definitely the park you want to consider first due to its numerous romantic corners, ponds and paths. However, if you are interested in something that is more unconventional, Tempelhofer Feld should be a considered alternative. This was an airport that was turned into a public park. You can so easily buy a disposable BBQ from a supermarket and grill some local bratwursts close to an airport runway. Make sure that you also look at the other parks in Berlin since you never know when you will find something you will love for a picnic destination. Just like in most European cities, it is always a great idea to consider walking tours. There are free ones that are available, usually focused on different, specific districts. You can easily focus on history or the underground art scene. Just keep in mind that even if tours are free, it is expected of you to give the guide a tip, but only in the event that you actually enjoyed the experience. We often see outdoor enthusiasts talking about fishing places in Germany and about the food that is available but so few mention the food markets that can be visited. 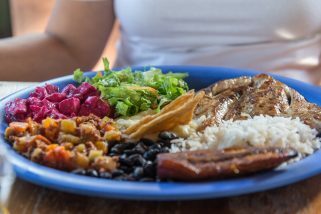 Berlin hosts many of them, allowing you to check out local cuisine and even enjoy gourmet delights. A really interesting food market is Prenzlauer Berg’s Kollwitzplatz. The vibe there is artisanal and market days are Saturdays and Thursdays. If you want to experience more color, check out Kreuzberg’s Turkish Market, which can be enjoyed during Tuesdays and Fridays. When looking for history, Thursdays are when you want to check out Markthalle Neun. On the site of Nazi Germany’s most feared of all government institutions, where the headquarters of the Gestapo was, Topographie des Terrors welcomes tourists with documents that show the Third Reich’s horrific chronology. What is particularly interesting is that this site shows you how the life of people in Berlin changed during the takeover of the Nazi party. 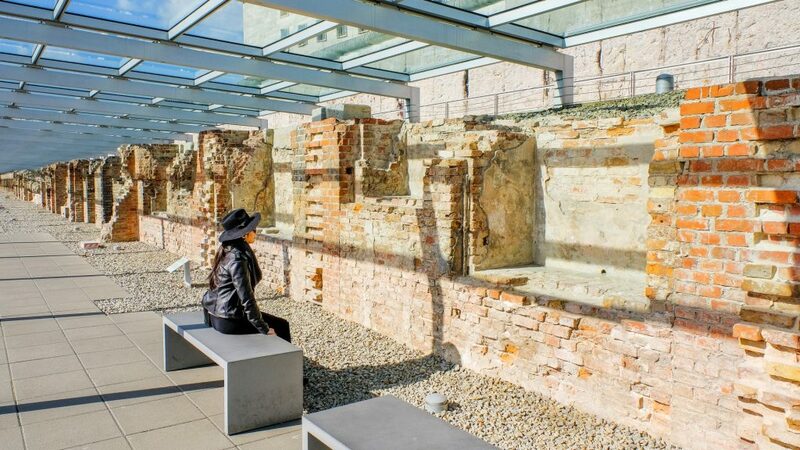 A self-guided tour is available for those brave enough to learn about this part of Berlin’s history. In Berlin there are numerous flea markets that pop up during weekends. You can find vintage threads, retro lighting and much more at such a location. If you are looking for some vintage items, do consider Arkonaplatz. If you are interested in design and fashion, check out Nowkoelln Flowmarkt. When searching for something more eclectic and beer gardens, Mauerpark is a great choice. Hackescher Hofe is located in Mitte and is made out of 8 restored courtyards. This is simply a perfect place if you want to shop for something local, want to grab a coffee or even take some pics to then post on Instagram due to the presence of eclectic street art. If you decide to visit this area, be sure that you explore every single cranny so you do not miss something that is quite wonderful. 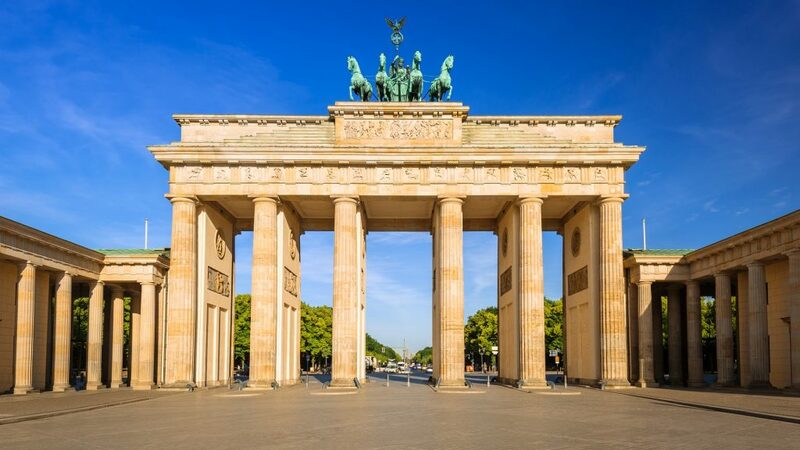 Brandenburg Gate can easily be considered as being the most iconic of all Berlin landmarks. This military monument appeared in 1791 and basically became a symbol of the nation that was divided. It features so many really elaborate sculptures and is now a symbol of the reunification of Germany. If the day is warm, you can do what the locals do. Simply take your swimsuit, some beer and get on a train to visit a nearby lake. Just half an hour away from Berlin you can check out Schlachtensee, which has so many picnic spots and clear water. You can even consider Tegeler See, which is located behind Tegel airport. Row boats and steamboat cruises are available. When your goal is to have an experience that is more remote, Bernsteinsee, which is 40 kilometers away from Berlin to the northeast, should be taken into account. Consider hostels or find an affordable apartment for a short-term stay in neighborhoods like Weissensee and Wedding. Museumpass Berlin is wonderful if you want to experience the city’s culture. For a low fee you can visit 50 museums in 3 days. Discount supermarkets like Lidl, Netto or Aldi offer really cheap groceries you can cook at a hostel or apartment. Many cheap options are available in the public transport system so learn about them before your visit. Brunch buffets are cheap and great during Sundays.